A woman who was killed in a weekend crash in Braintree, Massachusetts has been identified by police. Sheikeya Davis was traveling on I-93 in Braintree on Saturday around 1:00 am. Davis’s 2003 Buick Rendezvous lost control and hit a guardrail on the roadside. She then exited her vehicle. Davis was outside her vehicle when a second car came along and smashed into the Buick. The Buick was pushed into Davis who was standing in front of the car. The driver of the second car is a 20 year old woman from Brockton. She suffered serious injuries in the crash and was taken to the hospital. Police have not identified her at this time and her current condition is unknown. The cause of the crash is still under investigation. At this time, no charges have been filed and it remains unclear whether police intend to charge the 20 year old for her role in the crash. A deadly car accident is the worst scenario imaginable. There is nothing which compares to losing a loved one so suddenly and unexpectedly. 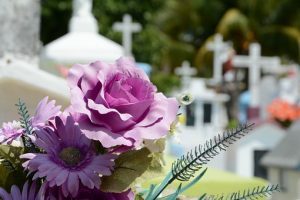 In these accidents, the victim’s family is left to carry on without receiving closure or even being able to say goodbye to their loved one. Perhaps most tragically, these accidents are entirely preventable in many cases. Each year in our state, people are killed while standing outside their vehicles on streets or highways. Many times, these people are changing a flat tire or dealing with a broken down or disabled car while waiting for assistance to arrive. When these accidents do occur, it is usually dark outside making it more difficult for passing motorists to see a car on the roadside. Still other times, the disabled vehicle may be blocking the roadway so that oncoming cars cannot get by, which can result in a collision. The crash in Braintree remains under investigation. While it would be inappropriate to speculate on the cause without further information, we know that one person was tragically killed and another was seriously injured. Our thoughts are with the victims of this terrible crash and we hope for the quick recovery of the other driver. At the Law Offices of Jeffrey S. Glassman, we handle Massachusetts personal injury cases. From our office in Boston, we serve residents across our state who have been injured due to someone else’s negligence. To get started, give us a call at 617-367-2900 today. The call is free and there is no obligation on your part. We look forward to hearing from you.